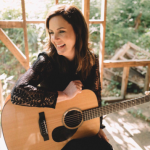 LORI MCKENNA’S “HUMBLE & KIND” NOMINATED FOR CMA “SONG OF THE YEAR"
Lori McKenna’s “Humble & Kind” is nominated for “Song of the Year” at “The 50th Annual CMA Awards.” Recorded and taken to No. 1 by Tim McGraw, “Humble & Kind” is the first song penned by a solo songwriter to be nominated for “Song of the Year” since 2012. The awards show will broadcast live on ABC on Wednesday, November 2 at 8/7pm CST. In celebration of the release, McKenna is currently in the midst of a nationwide headlining tour—her first since 2013. See below for complete details. Today’s nomination follows last year’s breakout hit “Girl Crush” (penned by McKenna, Liz Rose and Hillary Lindsey), which went on to win “Song of the Year” at the CMA Awards and “Best Country Song” at the Grammy Awards. Country Music News Blog participates in advertising programs that help fund the operation of this site. For more information please visit our privacy statement. This entry was posted in Lori McKenna, Press Releases by admin. Bookmark the permalink.